govexec.com: The Equal Employment Opportunity Commission on Monday kicked off its annual conference . Black farmers marched on Washington on September 23, to demand payment from the government for discrimination black farmers have suffered through systematic practices at the U.S. Department of Agriculture. The settlement has been approved by the Obama Administration and the farmers, and funding passed the House. The Senate has tried and failed 8 times to take up the bill. Senate leadership has indicated that the only way Black farmers will receive funding is by unanimous consent, coupled with the Cobell settlement. Cobell deals with mismanagement of Native American trust accounts by the U.S. Department of the Interior, while the Black famers’ settlement seeks to give Black farmers and Blacks who attempted to farm the opportunity to have their claims of discrimination by the USDA determined on their merits. I am one of the thousands Dr. Marsha Coleman-Adebayo writes about. The first African-American female union president at the Defense Contract Management Agency (DCMA) Lockheed Martin in Marietta, Georgia. Illegally ousted from my position on April 15, 2005. Appealed to the MSPB, agency decision upheld without any evidence whatsoever. It shook the very foundation of my core belief in the United States Justice system because I always believed you had to have some type of evidence (even if circumstantial) to determine someone’s guilt/culpability. Probably true but not for me. Henrietta Snow, African-American GS-15 Deputy facilitated my ouster after I endured years of harassment and retaliation that the Boston District, EEO REFUSED TO INVESTIGATE. Agencies policing themselves are a joke. So called neutral third parties prove to be just as inept. Colonel Nicole Plourde, Commander, white female avoided me like the plague, when I notified her of the harassment I endured and continued to endure under her administration, she wrote in her Notice of Decision to Remove that “it didn’t matter”. At no time did anyone attempt an investigation. Agency made me the scapegoat for its hostile working environment by identifying me, the African-American female union president as the cause of labor/management strife. This in spite of the agency’s own report that showed the issues complained of were systemic and started years before I even arrived in the agency. Agency promised anonymity to everyone after it ordered a climate survey review then published an executive summary identifying the union president as the source of the agency’s problems. Repeated attempts to get my story out have been buried and in spite of an extensive writing campaign, no relief has been granted. (3) yankee employee who transfers to the south for a better life and dare to stand up to an institution of racism. As one manager stated, I had three strikes against me and my efforts cost me a 25 year government career! Thank God that the media intervened on Ms. Sherrod’s behalf. My story could easily have become her story. Makes me wonder how many federal employees have lost everything because they dared speak out? Originally posted here at The Black Agenda report. While as of 4:30 PM Monday there were 4660 stories about Shirley Sherrod, there were considerably fewer themes to these. Most express outrage at the sliming of a good woman on bogus claims of her being a racist by Andrew Breitbart—who seems certifiably one. Most express some level of shock and anger that gets evenly apportioned between the Obama White House, Agriculture Secretary Thomas Vilsack (whose department has a long and deplorable history of racism both towards Black Farmers as well as black employees), the NAACP and the media for their cluster rush to judgment in vilifying this good woman without sufficient vetting of the facts. On whole, the stories find redemption not only in the untrammeled story Shirley Sherrod told during her speech at a March 2010 NAACP meeting, but also in the way that those who served Breitbart’s madness have apologized to Ms. Sherrod, confident that however this plays out it will have a happy ending—affording us yet another teachable moment. President Obama, his senior advisors and the various media that have washed their hands of any involvement in the sliming would have us believe this time was an anomaly of one innocent victim who was targeted by the far right. Further, they argue, the need to get out in front of the new, relentless, 24/7 news cycle improperly influenced the decision to offer up Sherrod as oblation to the gods of—what exactly? That’s the part that escapes their explanations centered on redemption, omnivorous news cycles and the regrettable lack of due diligence. But there are inside the federal bureaucracy tens of thousands of discrimination complaints filed annually against discriminating managers by countless whistleblowers—decent people just like Shirley Sherrod—who are discriminated against and suffer retaliation in absolute anonymity. Visit any federal government website and click on the No FEAR icon on its front page and view the data on discrimination and retaliation—albeit the statistics are generated by the discriminating agencies themselves. These are not bogus charges brought frivolously against managers in angelic hierarchies. These are honest individuals who face the crushing boots of the federal government’s discriminating and retaliating managers who are astute at using a playbook of tactics designed to silence and destroy them. Their ordeal does not end with the next news cycle. This is not a one-week phenomenon. These invisible victims, are dragged through a federal and judicial sacrifice zone and endure reprisals for five, ten (or as many as it takes to break them) years. Only 2% of those determined enough to file complaints will prevail in court. The losing 98% simply could not withstand the onslaught their managers brought by virtue of unlimited financial and legal resources via the US Department of Justice. Their careers, families, health, and lives are often ruined. That was the story the Obama Administration hoped no one would learn about. By getting out front with profuse apologies, the Shirley Sherrod story could remain an isolated case. The face of institutional racism and retaliation inside the federal government remaining the sacred cow the news media refuses to cover. It is disheartening to know that without the benefit of a foaming-at-the-mouth racist misrepresenting their story, the plight of thousands of federal workers has no appeal for the mainstream media. No, they are more interested in stories of redemption and happy endings than they are in looking at the fact that the Obama administration sacrificed a decent woman to out right wing the right wing. But since Mr. Obama has repeatedly been compared to Dr. Martin Luther King, Jr., one is obliged to ask: Does this administration have a moral center? Now, when Americans of every color and race have that dreaded day arrive and we hear the inquisitive voice of our children asking: “What is a racist?” we can happily turn to the full 43 minute video of Sherrod’s speech as a morality play on the human heart’s triumph over its own worst inner workings. And to Shirley Sherrod’s eternal credit, it is. But how do we mitigate what seems on its face to be a rabid appetite to address issues of racism and retaliation in American political culture—as evidenced by the Obama administration’s and the media’s piling on Shirley Sherrod—when this first offering in years is faux racism? Have an incendiary video charging an African American of racism posted by the same hatchet man for the far right who had been thoroughly repudiated by his laughable ACORN story? No problem. Send it to Fox News, kick back and enjoy the show. But neither Walsh nor Jones go far enough. The “50-state Southern strategy” (50-S3) argument provides a brilliant insight not only into what informs Fox and other propagandist organizations, but into what the Obama administration does not want anyone to believe about Shirley Sherrod’s firing—that in an attempt to placate the same white voters targeted by the 50-S3 the Obama administration needed a sacrificial black offering and they thought Breitbart’s video provided the perfect lamb. Perhaps Jones’ faith in our country’s ability to adapt to technology can be attributed to the leftover hallucinogenic effect of six heady months inside the White House, or its potent Koolaid. Or perhaps it’s the Kafka-esque quality of this story that has captured the nation’s attention. But for thousands of federal workers engulfed in the unbreathable choke of institutional racism there won’t be any apologetic calls from this president. The only calls they are likely to be receiving will be coming from Assistant United States Attorneys who have a summons in one hand and a retaliatory playbook in the other. As I pointed out in a story about Mr. Obama’s other BP (black people) problem two weeks ago, if the president was really interested in ferreting out the bad actors in the federal government, with proven, jury verdict-certified records of discrimination, retaliation, and maintenance of a hostile work environment, he would have to look no further than his own hand-picked energy czar, Carol Browner. But let’s just wait and see if any in the mainstream media, the president’s staff, or the lunatic right have any interest in addressing that sad-but-true story. 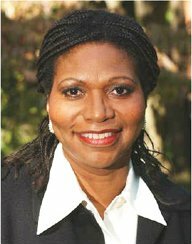 Dr. Coleman-Adebayo is the founder and president of the NO FEAR Institute in Washington, D.C. She served as the Executive Secretary of the Environment Working Group of the EPA’s delegation to the Gore/Mbeki Binational Commission during the Clinton administration. Her victory in the Title VII complaint of the 1964 Civil Rights Act in Coleman-Adebayo v Carol Browner inspired the passage of the NO FEAR Act of 2002. (Notification of Federal Employees Antidiscrimination and Retaliation). Her accounting of her experience in the federal government is documented in her first book, No FEAR that will be released later this year. Dr. Marsha Coleman-Adebayo on significance of Whistleblowing. The Obama administration has a double BP problem: the oil giant and the other BP: Black People. “It appears that BP and the Obama administration find it easier to stanch the flow of information than they do the deepwater gusher,” which at some point may cause great stretches of the Gulf to be written off as “sacrifice zones,” like atomic testing sites in the 50s and inner cities in the 70s. The author knows something about the inner workings of the Environmental Protection Agency, having won the largest award ever against the EPA for sexual and racial discrimination. By now, if asked to describe the BP problem facing Carol M. Browner, the Special Advisor to the President for Energy and the Environment, there is little doubt that most people could likely site some details about the April 20th explosion that killed eleven people and triggered the worst environmental disaster in US history. With tens of thousands of gallons of crude oil blasting daily into the Gulf of Mexico at pressure equivalent to a power washer—it is possible that the day will come when vast areas of the Gulf and its coastal regions will be declared sacrifice zones. That is, areas that are so contaminated that the cost and feasibility of cleaning and restoring them to there prior state will exceed their total economic worth. There are already examples of official sacrifice zones in the United States today. The Yucca salt flats in Nevada, for example—the staging area for hundreds of nuclear tests—were declared a sacrifice zone in 1997 by the US Geological Survey. Before discussing the catastrophe unfolding in the Gulf of Mexico, however, there is a perfect example of widespread sacrifice zones occurring in cities all across America, so obvious it needs pointing out—gentrification. City neighborhoods were abandoned by white America after World War II with the great northern migration of African Americans filling those abandoned cities. It wouldn’t be until increasing awareness of sustainable environments, increase commuting costs and the need to break oil addiction began to argue for a return by whites to the cities that banking institutions started pouring serious resources back into American inner cities. For decades these same areas had been sacrifice zones where poverty and its poor cousins despair, and hopelessness flourished. In many instances, even the sacrifice zones were sacrificed when toxic waste, brown fields, and landfills were commonly the neighbors of poor and largely communities of color.